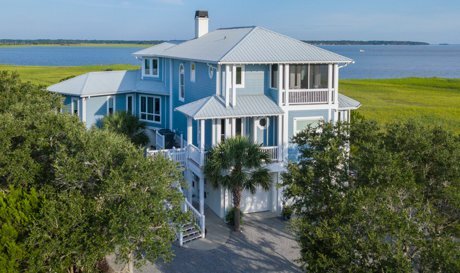 Beaufort, SC waterfront properties are some of the most beautiful in the state of South Carolina, and considering the state's abundance of beautiful waterfront homes, that is quite an accomplishment. South Carolina is a beautiful state known for its pristine beaches, its beautiful weather, and its abundance of wonderful sights of nature. It has a great climate for lots of wonderful wildlife. Its beaches feature cool blue water and clean white sand, making it ideal for those who love the shore. Its sprawling nature makes it great for activities like golfing and kayaking. 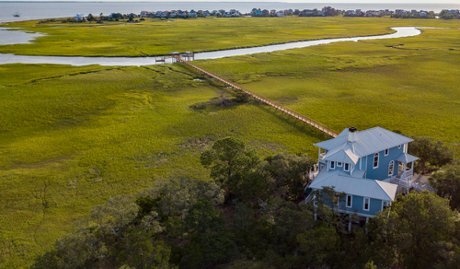 South Carolina coastal homes are ideal for those who want to relax and reconnect with nature. 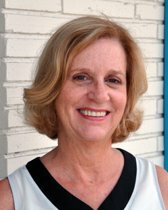 Although South Carolina does have its share of bustling metropolitan cities, everything is built on a strong Southern foundation - in other words, valuing a slower place, as well as politeness and friendliness to strangers and neighbors alike. For those who truly want to slow down and enjoy nature, South Carolina is the sure-fire route. South Carolina has some of the oldest cities in the country. Its history abounds; in fact, it was one of the original 13 colonies on which America was founded. 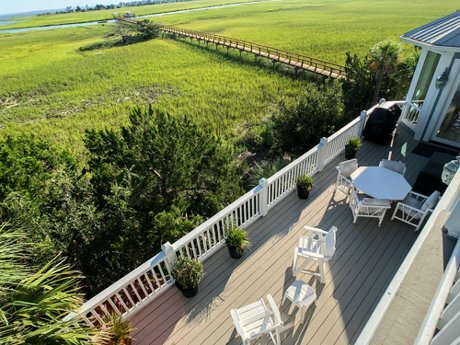 For this reason, South Carolina coastal homes come in many different variations, with something for everyone's tastes. Colonial and Victorian homes are popular, but South Carolina really excels at the Antebellum architecture for which the South is so renowned. Antebellum architecture is a style that became popular after the Civil War - "antebellum" is Latin for "after the war." This style strongly draws inspiration from the Greek revival style, as well as the neoclassical style. Antebellum architecture is typified in sprawling, majestic properties on lots of land, tall columns, and an attention to detail. Stone and brick are the materials of choice for these homes, which makes them sturdy, strong and durable. They are often white due to the color's ability to fare well in the warm Southern sun, but it is not uncommon to see accents of green and black. For those who want to go a different route though, homes more in line with typical coastal properties are in abundance. These Beaufort, SC waterfront properties have features like docks extending into the water, and storm shutters. 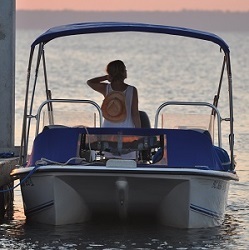 Waterfront real estate is always a popular choice, both personally and financially. Waterfront houses in South Carolina have lots of natural light from the sun reflecting off of the water. 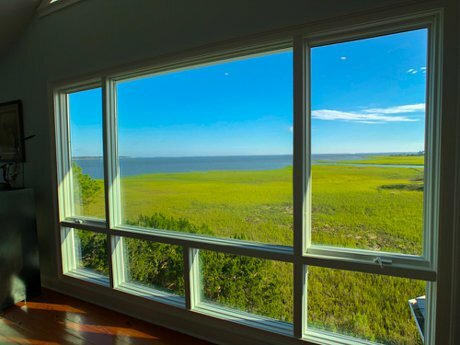 Most, if not all, of the rooms will have a beautiful view of the coast. At night, you can hear the water gently rocking against the sand, which is a beautiful sound that is comforting to adults and children alike. And in the morning, after a restful night's sleep, you can enjoy your coffee with your feet in the sand and your toes in the water. Because of its benefits, it remains a popular spot in which to invest. Waterfront properties are always valued highly, making them a great buy, as well as a great place to relax! 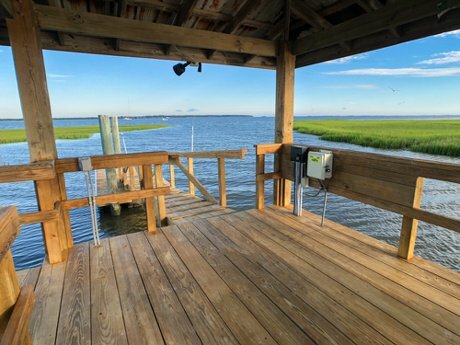 If you have always dreamed of having a beautiful, relaxing place to live or vacation, then South Carolina coastal homes are for you. Waterfront properties in this beautiful and historic state are sure to please. 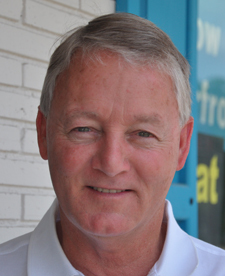 When looking for one of these beautiful homes, look for someone like Russ who has lived in the area for many years, and who loves it as much as you will.